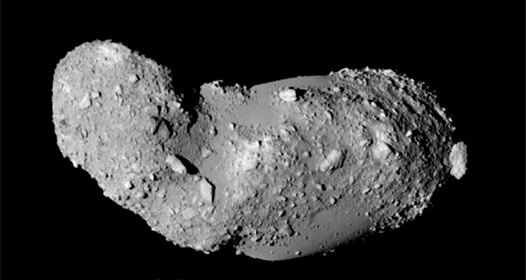 For Hayabusa 2’s sample-collecting activities, a slowly descending impactor will be used, detonating upon contact with the surface, instead of the high-speed projectile used by Hayabusa. Perhaps not quite as dramatic, but hopefully more likely to succeed. Like its predecessor, the main objective of the mission is to collect as much surface material as possible for delivery back home. I think we should chase down a comet. A one way trip, and maybe even a lander to hitch a ride! John Ross: the mission you are interested is Rosetta. It launched years ago but doesn’t arrive at the comet until 2014. It does have a substantial lander that is supposed to operate for a month. One of the main problems with Hayabusa was with the mini-lander, MINERVA, which was designed to land and retrieve the samples for delivery back to Earth. I don’t know if this was a typo, but MINERVA was not equipped to collect samples. Do you mean attitude here? Or is this the system for controlling altitude above the asteroid’s surface? Yay! Besides the great scientific returns of H-1, the new mission is an enduring receipt of the “can make it” attitude of JAXA.